Ruppert & Schaefer, P.C. | Do You Need a Prenuptial Agreement? Many couples today are bringing assets with them when they marry. Assets can include retirement accounts, savings accounts, trusts, and investment portfolios. But they can also bring debts like student loans and credit cards balances or even have a child support obligation. Is one of you due to receive an inheritance whether in the form of money or physical property? Is there a life insurance policy for children from a previous marriage? How will children from this marriage be protected? If there are separate bank accounts, who is responsible for which bills, including mortgages? What happens if one parent foregoes their job in order to care for your children? Your wedding day is one of the happiest experiences you’ll have. No one wants to consider the possibility of divorcing; however, there are times it’s best to plan for the worst. The attorneys at Ruppert & Schaefer, P.C. 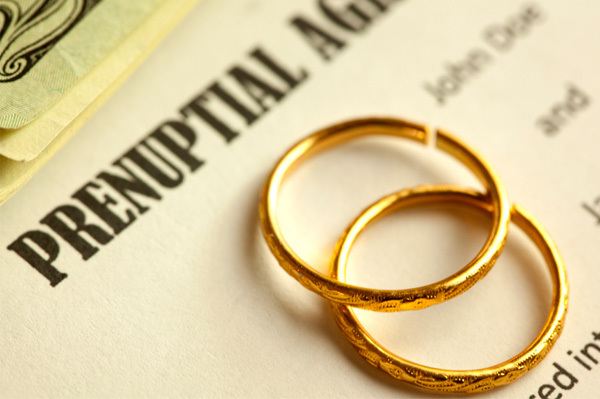 can help you draw up a prenuptial agreement before your wedding. If you would like to schedule an appointment, please call (317) 580-9295.